If you are looking for information on the Truly Nolan franchise business opportunity, Truly Nolan franchises or Truly Nolan franchising, then you have come to the right place. Owning a Truly Nolen International franchise offers you the opportunity to grow your own business and to provide an exciting future for you and your family. Truly Nolen is one of the fastest growing companies in the pest control industry with numerous branches abroad in more than 36 countries. The driving force behind the growth and recognition of the Truly Nolen brand is a strong set of corporate values that translates into continued growth for the future. Brand Equity - Brand recognition is an integral part of your business plan and can lead to conitnued and sustained market share growth. Our distinctive name and logo are known worldwide as a standard in quality and excellence. We offer Franchise or Master Franchise programs around the world. Services provided: We specialise in residential, commercial and industrial (HACCP) pest control. Other services provided are rodent control, mosquito control, termite control and bird control. Truly Nolen International is known for its innovative techniques including our famous safe, effective, NO ODOR pest control treatments. You will be using the most environmentally friendly products that will give you a marketing advantage. Training and Support: One part of the formula that makes out Franchise system a huge success is our training and support system. We have a complete customized training program for experienced and non-experienced investors. 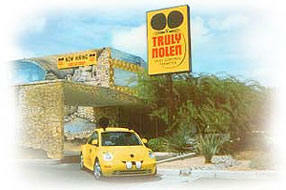 Truly Nolen International will work hand in hand with you our Franchisees updating you on a regular basis. Our qualified staff travels around the world supporting all technical, marketing and managerial needs. The Franchisee will receive extensive manuals and protocols that will guide them on how to extablish a quality operation. Please complete the email form below and start an exciting future.